This laptop equipped with a big 17.3″ screen, which is becoming rare today, it is a little bit bulky, but it stays very cool, and isn’t really all that heavy. The large screen and easy functionality provide a great user experience for games, videos, research, picture viewing, etc. It’s not a gaming rig, but something like this is great for casual gamers. 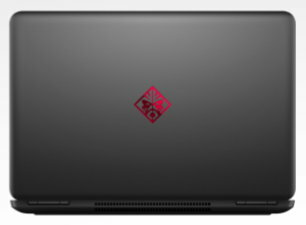 The OMEN Laptop – 17t gaming 17.3″ screen was built for people who prefer to multitask. The robust 7th generation i7 processor makes this laptop working fast and perfect for business and personal needs. The OMEN by HP runs very smooth with no problems. It is easy to use, graphics are excellent. The HP’s shiny black on the interior, as well as the nice silky finish on the sides and top doesn’t show fingerprints. So overall for the money, the price starts from $1049, which is a great deal. The only downside is the OMEN Laptop (17.3″) don’t have the fingerprint reader. Also a lot more ports than most computers in this price range, and it’s built very solid, good materials, doesn’t feel cheap at all. The HP OMEN is great desktop replacement for everyday computing, banking, social networking, Quicken, word processing, various student projects.